The HydroConference seeks to create better interfaces between the providers of hydrological services and the users who need such services for a wide range of decision-making in order to generate increased benefits for society. The state of the planet’s water resources is recognized as one of the greatest global challenges faced by our rapidly transforming world. A three-day conference on hydrological services therefore sought to address the urgent need to improve forecasting, management and use of water supplies and to tackle the problem of too much, too little or too polluted water. 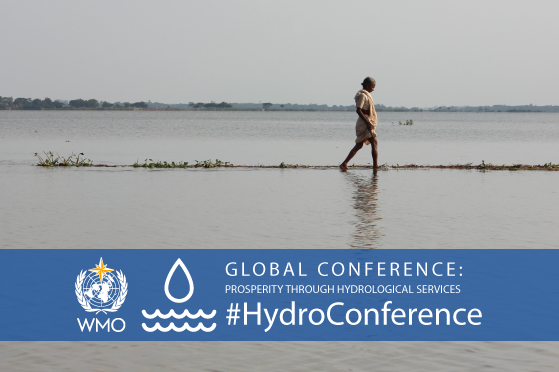 The HydroConference brought together 215 providers and users of hydrological services from 85 countries to strengthen knowledge-sharing and coordination. Delegates agreed that sustainability of water resources and reduction of disaster risk can only be achieved by addressing the full value chain, from data collection to the production of efficient hydrological services that allow informed decision and policy-making.